I grew up in Florida, within miles of the epicenter of what we now call a national opioid crisis. I got hooked on prescription painkillers in Florida, buying green and blue tablets from the pill mills that spread through Miami. I learned to shoot heroin in Florida. I ate at the homeless shelters there, begged for change at the gas stations, and tried one treatment center after another. I experienced the opioid crisis up close and personal: I lived it. After leaving Florida in 2013 and finding sustained recovery four years ago in California, I’m still experiencing the effects of the epidemic. Now, I see it from the other side. I work in policy, pushing for recovery related reform at the national level. I work hand-in-hand with grassroots groups across the nation to ensure that our voices are heard. This year, I’ve learned that if recovery is not represented at the decision-making table, it quickly falls by the wayside. I’m able to be such a vocal activist in part because I’m white. I’m the guy in the Warby Parker glasses, the hoodie, and the backpack, trying to force change everywhere I go. I see few advocates of color at the table and at higher levels of leadership — especially when funding is in play. I do my best, but I can’t speak for a community I’m not part of. I can call out systematic problems that exclude people who are in need. The fact is, in our focus on fixing America’s “opioid problem,” we’ve fallen into the same old ignorant patterns. White, suburban, middle-class opioid users are receiving an overwhelming amount of media attention. People who look like me are in the limelight: the addiction crisis is hot right now, but only certain aspects of it actually make it to the mainstream. We’ve ignored communities of color, alternate pathways to recovery, harm reduction, and substances other than opioids. As a result, meth is on the rise, as well as benzos such as Xanax. Well-intentioned advocacy from both policy leaders and grassroots groups has actually created more victims because it fails to include all people with substance use disorder. The divide between policy and the day-to-day struggle of people in active addiction is widening. Who cares what legal protections we have if they don’t actually save lives? What’s the point of creating progressive health care systems if those systems aren’t accessible to everyone who needs them? Furthermore, the media misrepresents small steps forward as the “finish line” while sensationalizing opioid use in specific regions. Instead of becoming more inclusive, our definition of recovery is narrowing. That squeezes out the most vulnerable members of our communities, while those with more privilege—who fit the mold of the “model addict”—get sympathy and support on their journeys to wellness. That means that, on the same day, a headline about the opioid crisis in Appalachia shares a page with a story about Senate leadership unanimously backing the new opioid bills. It doesn’t make sense. These stories are linked. They are one and the same. The average addict looks nothing like the rural poor of West Virginia—the drug epidemic affects one in three American homes. Yet, just as the media chose to sensationalize the crack epidemic as a “black problem,” addiction is once again becoming “someone else’s problem.” When we see addiction represented as something that happens to other people, we don’t deal with the problem that’s in our own backyards, living rooms and classrooms. Miami-Dade County in Florida—the place where I hit the bottom of my addiction—is making incredible strides too, by making naloxone available literally everywhere and putting it in the hands of people who already use opioids. The county is also the home of the state’s first and only syringe exchange program. These two places are reversing the opioid epidemic by treating it like a public health crisis—and not shutting out people in need because they “don’t fit” the way we see addiction in the media or in budgeting meetings. Instead of assuming that a rising tide of recovery will lift all boats, they decided to build a boat that has a seat for everyone. This is not a problem that can be solved by separating and specializing it to death. We have the data, the tools, and the evidence that are proven to work. We need to use them and make them accessible by actually meeting people where they are. In 2019, I’m committing to making harm reduction and saving all lives my focus. You can’t help someone if they’re dead. All the well-crafted legislation in the world won’t bring back the fathers, mothers and children who we’ve lost to drug-related causes. What we can do is bring help to those in need. We can give them their dignity. We can see them from the other side of the crisis, and meet them wherever they are. The issue isn’t opioids: it’s ignorance. What are we actually trying to fix? Are we solving the problem, or simply eliminating the people we don’t think deserve help? I’ve looked at this epidemic from both sides. I know where I stand. I hope others will stand with me, and lend their voices to a movement that includes everyone and offers real, meaningful solutions. This doesn’t have to be complicated. Simple measures like making naloxone widely available, offering 24/7 access to safe injection sites with fentanyl test kits and clean syringes, and connecting people with help the minute they need it ensures that they can get through 2019 alive. Together. In one piece, recovered. Ryan Hampton is a person in recovery from heroin addiction and author of “American Fix: Inside the Opioid Addiction Crisis—and How to End It,” published by St. Martin’s Press. He’s a nationally recognized activist and founder of the nonprofit advocacy organization The Voices Project. 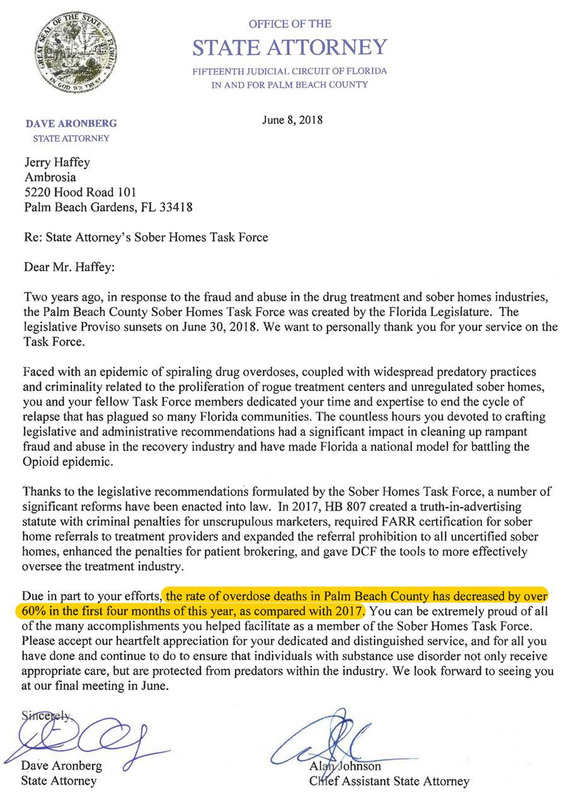 Thanks to Florida’s Sober Home Task Force, overdose deaths in Palm Beach County are down 60 percent! What can employers do about addiction? 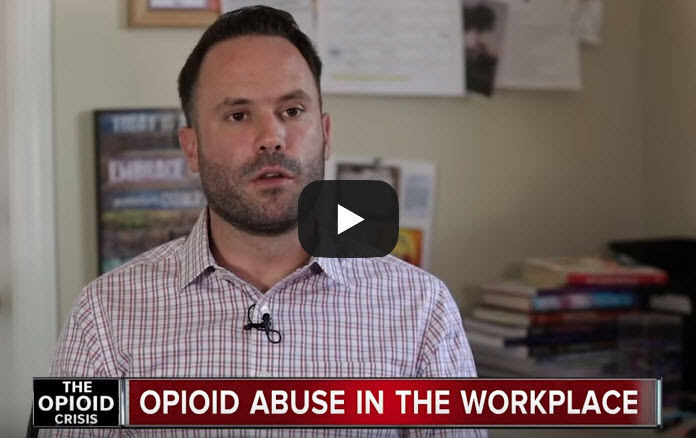 Opioids in the workplace lead to unsafe working conditions, decreased productivity and high turnover rates, costing US businesses an estimated $2.6 billion every year. Some employers are fighting the stigma by offering workers a chance to get help. Welcome to the June edition of Tips and Topics (TNT). Glad you could join us this month and if you are in the Northern Hemisphere, enjoy your summer. If not, stay warm. Consider if it is worth incarcerating people who committed nonviolent crimes due mainly to the disease of addiction and/or related social ills. About 2,000 people with nonviolent drug offenses are incarcerated and serving life without parole. Just under half of the total federal prison population of 185,000 is serving some time for a nonviolent drug offense. In California, it costs over $75,000 to house a prisoner for one year. While it is about half that in Federal prison, that is still a great amount of money. What is a drug offense? Come together to achieve public safety, promote recovery and justice for all. To incarcerate those who truly threaten the public safety. To treat those with addiction and mental illness whose only threat to the public was behavior caused by untreated and unstable behavioral health conditions. To be good stewards of all resources and spend our tax dollars wisely to increase public safety by promoting recovery and well-being for the sick; and for the socially and economically-disadvantaged people driven to crime to survive. “A dedicated multidisciplinary team of professionals manages the day-to-day operations of the Drug Court, including reviewing participant progress during pre-court staff meetings and status hearings, contributing observations and recommendations within team members’ respective areas of expertise, and delivering or overseeing the delivery of legal, treatment and supervision services. It is going to take more that just drug and treatment court teams to advance justice services evolution. If President Trump was on board, as was President Obama who granted final commutations to 330 nonviolent drug offenders, we’re off to a good start. To help court teams know what good treatment should look like. To help treatment providers understand what to put in update reports so court teams can know if participants are progressing or not. To find ways to work together to protect the public and use resources wisely – treat participants for flare-ups of addiction or mental illness; sanction and incarcerate for threats to public safety. To promote recovery and well being to achieve public safety, rather than compliance and incarceration. As part of that process of bridge-building, I had many conversations and questions during and after the conference. Here is one of those. How to craft policies allowing for mistakes and promoting honesty; not zero tolerance. Our court already has “warnings” for a lot of the supervision pieces – first missed curfew is a warning, first missed drug screen is a warning and loss of clean time, if admitting to drug use there is no sanction. However, we have a “zero tolerance” policy for honesty. I tried to argue that these folks have spent the better part of their lives lying about anything and everything and the expectation that they are going to join this program and immediately start being honest in unrealistic. I suggested we have a “warning” for their first lie – when it is an honesty issue only. For example, a drug court participant may own up to the fact that: “I lied on my AA meeting sheet”, “I lied about leaving the jurisdiction”, “I lied about going to community service” – etc. I would still address this in treatment with a redo of Step 1 if they have even passed that step, but as far as the sanction of a day in jail for an honesty violation – my hope is that we add in a warning to give them an opportunity to learn the system and learn how to be honest. Addiction is a brain disease, it isn’t just a behavioral disorder where behavior modification is the only method to address behavior. The behavior modification method of escalating warnings/sanctions does not address the complexity of addiction. Behavior modification is a single-theory approach to a complex multidimensional disorder. Principle #2, Recovery from drug addiction requires effective treatment, followed by management of the problem over time; and…. Principle #3, Treatment must last long enough to produce stable behavioral changes. Principles 2 & 3 require engaging participants in an ongoing therapeutic process focused as much on dropout prevention as on relapse prevention. To understand what went wrong in the therapeutic process so poor outcomes like missed drug screens, positive drug tests, lying, attendance problems etc. are occurring. To identify what the problem is and focus on how the participant can learn from their mistakes. If the participant is willing to follow a new treatment plan addressing whatever problems were behind the behavior (e.g, hanging out with the wrong friends; not knowing how to deal with anger without using; struggling with a flare up of PTSD or chronic pain; scared to be honest about drug use, because of zero tolerance policies etc….) then treatment should continue, not warnings and sanctions. Treatment is not about having people be perfectly well-behaved, but in helping them change attitudes, thoughts and behaviors around the assessed problems they have which threaten public safety. If they could be perfectly honest, abstinent and pro-social, they wouldn’t need treatment! Principle #4, Assessment is the first step in treatment; and.. Principle #5, Tailoring services to fit the needs of the individual is an important part of effective drug abuse treatment for criminal justice populations. How important assessment is.. how important individualized treatment is to improve services to fit whatever new needs are assessed and discovered. Assess and treat, instead of activating a series of warnings when something goes wrong in addiction flare-ups, such as substance use, lying or antisocial behavior. This is important not just at the start of treatment, but in an ongoing process. Self-defeating choices and flare-ups of old and new problems can occur at any time of the recovery process. Principle #6, Drug use during treatment should be carefully monitored so that any “detected use can present opportunities for therapeutic intervention”. Policies permitting mistakes and honesty allow the participant to move away from criminogenic thinking and antisocial behavior. Zero tolerance pushes any impulses or actual substance use underground preventing “opportunities for therapeutic intervention”. Causes participants to be more focused on looking good and compliance, rather than on learning from mistakes and changing their treatment plan if things are not going well. Increases the need for participants to “con” the treatment and court team if they make a mistake. Instead they could be putting their energy into being honest about their struggles to use, cravings and triggers, ambivalence about changing people, places and things like hanging with certain friends; or going to certain neighborhoods. If a participant misses a curfew or receives a positive drug test, it creates the incentive to lie to save face and use criminal thinking to scam the system, a behavior they are already too good at. Continued high dropout rates and poor “graduation and completion” rates. Continued recidivism of participants who graduated but didn’t really change in their attitudes and behavior which threatens public safety. Incentives for participants to focus on compliance and avoiding warnings and sanctions, rather than focus on adherence to an individualized treatment plan to achieve real, accountable and lasting change in function. This must be my NPR Here & Now month. Last month, there was a May 21, 2018 segment about the Supreme Court’s ruling that struck down a 1992 federal law preventing states from permitting sports betting. I was interested not just because it raised awareness about the neglected manifestation of addiction, gambling disorder, but because of the lawyer who spoke about his addiction and recovery. Here was a lawyer who was dishonest, told lies and cheated his clients – all because of the ravages of addiction. His addiction first manifested as alcohol use disorder but then later, a gambling disorder. I hope one day all the judges and lawyers who want to sanction, give warnings and incarcerate people with addiction who lie while in treatment will have a chance to talk to the Michael Burkes of the recovery community. Of course, it is not OK to lie and be dishonest. I bet lawyer, Michael Burke, in long-term recovery, knew that, while he continued lying to his clients, embezzling their money. That is the cunning and baffling nature of addiction – to say and do bad things you know you shouldn’t do. But when participants in treatment courts are in the throes of their addiction (using or lying) with no recovery time or skills, that is the time to “do treatment” not “do time”. Craft policies that allow for mistakes and promote honesty; not zero tolerance. Thanks for reading Tips & Topics this month. See you soon again in late July. The first time I have ever drank was my sophomore year in high school i drank socially not really to get wasted but just to hangout. It was never much fun though because I had aspirations to play basketball in college and was worried about getting in trouble and ruining those chances. I did it occasionally having a girlfriend and other friends who enjoyed it I also enjoyed doing it too at times. The first place I ever drank at was an older kids house after one of my high school basketball games on a Friday night. I wasn’t peer pressured into it i wanted to drink but knew that I had to drink responsibly because I didn’t want my parents finding out about it and also i wanted to stay out of trouble, 1 can’t really tell you how much I drank that night but I can tell you that I drank enough to realize that I was drunk. I learned the next day for the first time what it felt like to have a hangover and did everything I could to hide it from my parents in fear of getting in trouble. I never drank during the week in high school because I usually had practice and for a couple years I was playing basketball 11 months out of the year so I never really had much free time to do what I wanted or to go out and drink. Occasionally I would go out with friends and continue to drink but things were never out of control where I felt like 1 need to drink during the week or was upset about not being able to drink on the weekends. As I got older the amount of times I drank increased but not by much, once I became a senior in high school I no longer played basketball for 11 months out of the year because I had committed to play basketball at uncc, and no longer played basketball over the summer. That being said the pressure was even higher for me being committed to the school in fear of losing what I had worked so hard for, But with more time on my hands now it gave me more time to finally be able to relax and hangout with my girlfriend and people that I had to sacrifice my time with when I was working to get to where I wanted to be. The next time I noticed an increase in drinking was probably when my girlfriend and I broke up last summer. I never felt that I had to start the day off drinking or that it was the only way to feel better about my situation, I was heart broken and when I would go out 1 noticed that I drank more not really admitting to myself or anyone else that I was drink in more probably because of her. In college I didn’t drink any more or less than I did in high school and with us practicing all the time we never really had time to go out but on occasion we did. The night I got arrested I had been drinking throughout the day with my teammates before a football game that we were going to watch we ubered to the game and ubered back. We went to a party later that night continuing to drink as we had done other times in the past. I got an uber home from the party and my teammate and some of our friends were stuck at the party and 1 told them that I could come over that it was only just down the street and that it wouldn’t be a problem. Long story short I got pulled over and my life kinda flipped upside down but this time I didn’t notice and increase in my drinking when or if i would even go out. I was actually refraining from drinking for a while told petrified of ever getting in trouble again and afraid of going back to jail and losing everything I have worked so hard for throughout the past 5 or 6 years of my life. I drank maybe once or twice before I left the school and transferred one of the nights being my last night there before I transferred out almost as like a toast to the friends and everyone I would be leaving behind. lve only drank 1 more time since I left that school in the beginning of november and that was maybe a week later when 1 went to my cousins wedding Again nothing crazy just socially drinking with my family. Since then 1 have not had anything to drink and still to this day have not drank while attending this class. I do not believe that I have a problem with alcohol or that I am an alcoholic I believe that I made a mistake and that I deserve to suffer the consequences of whatever happened and I did I served jail time and I did learn my lesson… never to get behind the wheel of a car after you have been drinking. I do not believe that I will never drink again I would not want to lie to you because I do not feel that I have a problem with it. I would like to share something with you that I have gone through and by no way do I want you to feel like I am complaining because I do know that there are people out there that have it way worse than I do right now but its kinda a little story about how I changed my life for the better and probably how I managed to make it through all of this without going totally insane and if you would like to share this with the group or other groups later on that is totally fine with me and I would talk to them openly about it if I had to but if it can help people later than it will feel good to know that people can learn from me and hopefully open someones eyes to a different perspective on life. So as i mentioned earlier I had been in a relationship with a girl for 5 years. I am currently 19 so I was pretty young when I started dating this girl. Never had another real girlfriend in my life thought she was the one honestly thought we were gonna make it together for forever. Well about four years into our relationship when we finally decided on schools to go to I went to my school she went to her school which was about four and a half hours away from each other. For a couple that had been together for five years and never really been away from each other for more than a couple days it hit pretty hard. Hard enough for her to feel that the relationship wasn’t working out so we went on a break about four months later we started talking again and eventually started dating again. It was brought to my attention by her that she had tried a handful of drugs that I would of never expected her to do. Slowly I see a different side of a girl who I thought I new so well. After she told me this I made her promise that she would never do any of these drugs again other than smoking weed and drinking those I was okay with but anything worse than that and we are talking about major addiction. We actually had a friend go into cardiac arrest and die when we were in high school from taking the same drug she had taken. Anyways we started arguing more and more looking back now seeing how unhealthy this relationship was I should have been out a while ago. 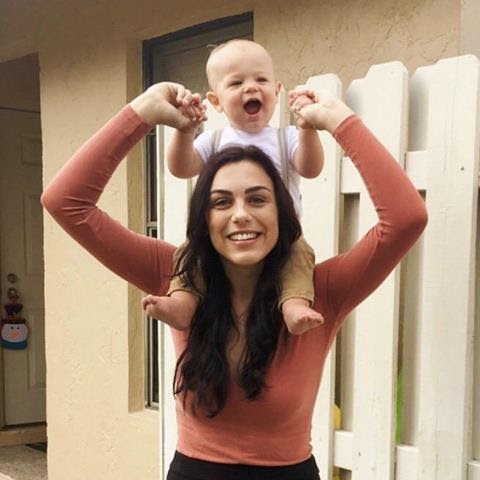 Come to find out about 6 months after we had gotten back together she had done cocaine again and did a few other things that were not acceptable for any couple no matter how long you have been dating. Hearing this broke my heart thinking how could she do this, she never loved me, what else has she been lying about. I was depressed I didn’t go looking for alcohol, or drugs, I didn’t leave my room much. So much anger and hate and sadness were inside I was losing my mind. This is where I get to the moral of the story. I felt that if we would of just got back together then everything would be alright, and that was how I always have felt “oh it will be better maybe if I change who I am things will work out between us” but she didn’t want anything to do with it she apologized and said that maybe it was better if we just stopped dating for a while and did our own thing. I didn’t want to give up on her I thought she was the best thing for me and the best thing for what I was trying to do with my life. I realize to this day that I was co-dependent on her and the relationship we had. So co-dependent that I let her walk all over me hurt me, upset me, lie to me, break my heart all because I was blinded by what I thought was love, by what I thought was normal for relationships. Now please do not get me wrong I loved the girl to death and I still do and honestly there probably isn’t anything I wouldn’t do for her but I do realize now that I do not need her in my life to be happy. That me doing everything I could to make her happy was me getting away from who I truly was. I wasn’t doing anything for me but all for her. I had to start doing things to make me happy because if I do not make myself happy I can not expect others to be happy around me. Again I want you to understand that all five years of the relationship was not horrible i had plenty great memories with her but there were a lot of bad ones too that I would hide away and keep bottled up afraid of losing her. My mother is actually the one that brought me out of my depression she said that every day that she is alive she strives to create lasting memories each and every day CREATE LASTING MEMORIES (CLM) that the lasting memories that we create are those that we will remember forever and can help us in our darkest time. She is also the one that told me “you can not change the past nor predict the future” and that we can only truly control one thing in this world and that is ourself and to live in the present. So after we had that discussion my mom, her boyfriend, my cousin, and I all got CLM tattooed onto our bodies for us to remember each and every day create lasting memories and I can honestly say it has helped me to remember this because I’ve been through a lot lately but no matter how bad your day can seem you cant change it it already happened but you can make the most out of every day. Even if this only helps one person at least I helped someone I hope that while you read this you see how much I changed and I just wanted to thank you for everything you have done for me this place has really helped me to understand and learn a lot about alcohol and drugs and what to do to prevent this from ever happening again. ASSIGNMENT FOR CLIENT THAT INCLUDED DRINKING AND DRUG HISTORY FROM BEGINNING TO END. NAMES HAVE BEEN DELETED TO PROTECT CONFIDENTIALITY. I will never forget the walk home after my second DWI. It was late November in Illinois. Freezing. Wet. Dim. It was 4 am by the time I left the police station. I pointed myself in the direction that I thought was home and started walking. Just wanting to be anywhere else. Or nowhere. After an hour, I realized I was going the wrong direction. I doubled back and took me almost 3 hours to get home that night with nothing but shivering wind and self-loathing to keep me company. Once I got to my door, I realized my house key was with my car keys. With my car, impounded. I had to make the trip again. Just thinking about that night makes me sick to my stomach. When I think of getting drunk, there isn’t a single night out that I remember. I never think about college parties, or dunk hookups or celebrations, I remember that last night every single time. Since that night, I have made some major changes in my life. I looked at myself and decided my goal had to be not only to quit drinking but to better myself. I have moved to the east coast to be closer to my family, which makes me happier every day I wake up. I have re-enrolled in school, so I have positive goals to work toward. I quit smoking and I learned how to cook. I hit the gym more frequently and I have taken up evening running. I like myself again. Those classes and those experiences has given me a new perspective on alcohol and sociability. I think by the time we finish our classes, we all feel closer to each other than I ever did to my bar friends. Now I want to take that outlook and apply it to everything in my life and hopefully make myself and those I care about better for it. I remember drinking my first beer the night before I turned 13 because I didn’t want to become a teenager without having tried it. Yes, I know how dumb that sounds, it was a Guinness. I hated it. I still didn’t like beer very much in High School, but somewhere between Junior and Senior year, I started partying almost every weekend. I discovered that I do like weed. I used to smoke almost every day. Even occasionally throwing down with a few friends to pick up an OZ. and roll the whole think in a day. At parties I would smoke more than I drank, usually nursing a beer to give the impression that I was drinking more than I was. College was the same, just with even more weed. By the time I was 24, I had dropped out of my second college. On the bright side I had become kind of a health nut. I worked out twice a day, ate a health diet and quit smoking. A year later, I started going out after work with a group of friends on Friday Nights. Still relatively innocent, but I discovered that I enjoyed Whiskey. When I switched jobs and started working downtown, I started hanging out with a new group. Just like that. It was like college all over again, only this time with my newfound affinity for whiskey. I started drinking several times a week. I drank for fun and somehow, I also drank to wind down. I started smoking again both weed and cigarettes. Even after I left that Job, I carried that behavior with me and within a year and ½ I had picked up 2 DWI’s. My last arrest was in November. My last cigarette was in December. My last court appearance was in March and so was my last drink. I feel good about where I am now. I recognize that I have been in this position before. A few short years ago, I was looking back at my past behavior, wondering how I could have possibly been so stupid. I feel the same way now but this time I have the benefit of experience. I know what is at stake and I know how easy it is to fall back off that cliff. I know I can’t be cocky. But I also know that there are places like this and people like you. And I think if I ever catch myself slipping again that might just make all the difference. First, Rhonda, I want to thank you. My time here has been a rewarding, positive experience and your passion and support is genuinely inspirational. I hope it is as clear to you as it is to all of us that your trials and tribulations were not mistakes, because they brought you right here to us. Where you need to be-leading others out of the darkness. Your work helps us through our most trying times, but your influence doesn’t stop with us. You make our families better, our friends better, our communities and our unborn children all owe you a debt of gratitude. Thank you. Name withheld due to confidentiality. Paxton West’s words speak volumes about the strong hold opioid addiction has on users. “I would beg myself not to use as I was sticking a needle in my arm,” said West, a Statesville native now serving a four-year prison sentence. How do we deal with the epidemic that has ripped through our community and so many others nationwide? Over the past several months, the Record & Landmark staff talked to those on the front lines of the crisis. We interviewed deputies, doctors, counselors, addicts, pharmacists and others. This three-part series examines how we got here and where we’re going. » TODAY: An overview of how the epidemic has affected Iredell. » MONDAY: How addiction happens and how public safety agencies have responded. » TUESDAY: Local treatment options and where we go from here. Data in this series comes from the North Carolina Event Tracking and Epidemiologic Collection Tool (NC DETECT), a state resource created by the N.C. Division of Public Health. One summer afternoon several years ago, Paxton West walked up to the edge of the Radio Road Bridge overlooking Interstate 40. Frightened, frustrated and coming off a high, West watched as dozens of cars and trucks passed underneath him. The relentless summer heat beat down on the Statesville native’s frail, gaunt body as he searched for the one vehicle to end it all. Soon enough, he found the one. A large tractor-trailer barreling down the interstate would work. The only relief West ever felt came from a syringe. That was about to change, he thought. Once the truck got close enough, West would no longer be a slave to the needle. He wouldn’t continue tearing apart his family. The shame he endured would vanish. No turning back. It was the only way out. He closed his eyes, stepped forward and prepared to jump. West is one of many Iredell residents who struggle with opioid addiction, by far the most widespread drug issue here, according to Iredell County Sheriff’s Office Capt. Bill Hamby. As of June, 250 people were admitted into local emergency rooms for drug overdoses this year. One in 12 people suffer from substance use disorder, but one in 10 seek treatment. Statewide, heroin deaths have increased 800 percent since 2010. But there’s a push in Iredell to change that. Mooresville substance abuse counselor Rhonda Lazenby, who herself battled an alcohol and drug addiction for the better part of three decades, spends her sessions preparing her patients for recovery. The stigma of addiction stems from a societal belief that it’s a moral failing rather than a legitimate disease scientifically proven to alter the brain, according to Manejwala. These behaviors are the disease, not the patient, he said. Kearney joined the Statesville practice in 2003. At the time, it was one of only three pain programs in the entire state, he said. Now, however, he said there multiple programs in Iredell County alone. Paxton West is now inmate number 1048049. He hasn’t been home for a Thanksgiving or Christmas in the last six years. It will be 2020 before he sets foot outside a prison. West’s drug abuse started in high school, where he first experimented with marijuana. He progressed to harder drugs after receiving prescription painkillers for a sports injury and then again after having his wisdom teeth removed. Soon he was snorting cocaine and buying prescriptions off the street. West shot a solution of crushed pills into his vein about 7:30 one night. By 9 a.m. the next morning, he bought his first pack of syringes from CVS. West’s addiction drove him to one of the lowest points in his life and landed him on the edge of that bridge four years ago. Standing there, eyes tightly closed, he wanted his final moments to be filled with positivity. He thought of family dinners, holidays and graduations. But his transgressions quickly surfaced and the guilt overwhelmed him again. As the traffic sped forward, and the transfer truck drew closer, one last memory came to mind. All he could see was his daughter’s face. All he could hear was her laugh. For an instant, his life had purpose again. In his momentary hesitation, a gust of wind knocked West down and breathed new life into him. He realized he had another option. Paxton sprinted to his childhood home on West Bell Street, where he fell to his knees and begged for help from his parents, Gary and Patti West.